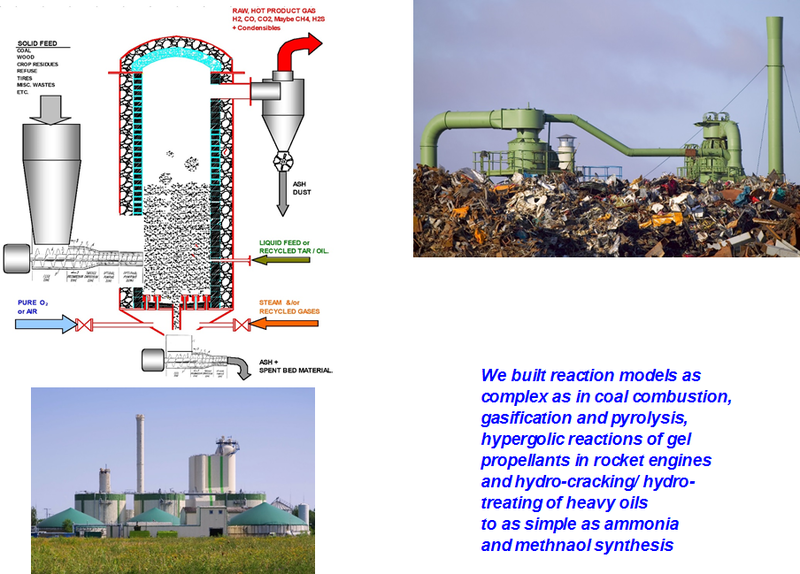 Combustor (CBR)/ Gasifier (GFR)/ Pyrolyzer (PZR) – Renewable Energy: Due to our extensive background and experience in coal combustion, gasification and pyrolysis (including co-authoring a book chapter on the subject) we are positioned to contribute to the design and development of Thermochemical converters for production of fuels and chemicals from renewable resources like biomass, solid wastes, wood and other forest and agricultural products. 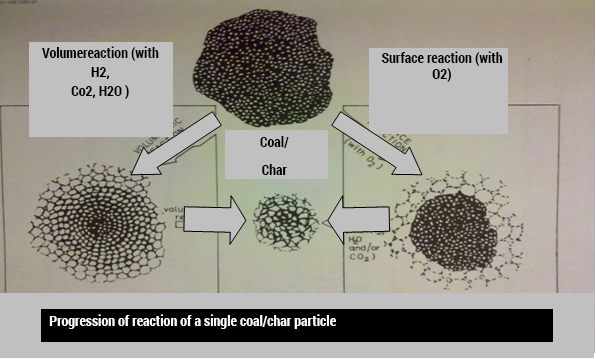 Close similarity in a) involved chemistry, b) phenomenological behaviors like ignition, particle Decrepitation, fines generation, soot formation, volatilization/ de-volatilization and agglomeration, c) mechanism and kinetics of Pyrolytic liquid product formation and d) factors controlling ratio of liquid to gaseous products between coal and other renewable feed-stocks makes our background and experience ready for utilization in the renewable energy area. Let us help design, develop and/or build that next Combustor, gasifier or pyrolyzer to serve your need. 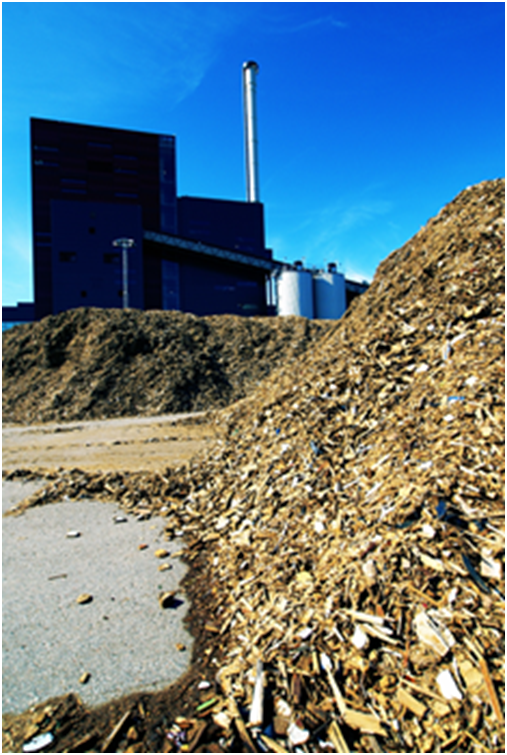 Pyrolysis oil produced from pyrolysis of forest or agricultural products that can be transported directly by pipe-lines is a liquid fuel of recent interest. Our expertise and interest is well-suited to further develop this technology. Pollution Control: Nitrogen oxides (NOx), sulfur (S) and mercury (Hg) are environmental pollutants. 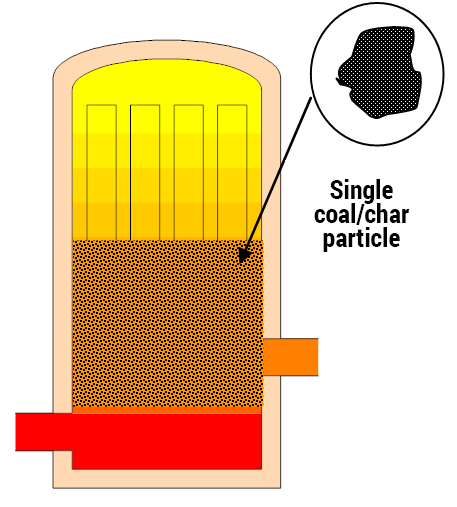 Sulfur and trace oxygen from a Syngas generator are catalyst poison and catalyst Deactivator respectively for FTS (Fischer Tropsch Synthesis) reactor. These pollutants may need to be removed from the feed Syngas to this reactor preferably to close to a billionth-of-ppm level for a Co-based catalyst. 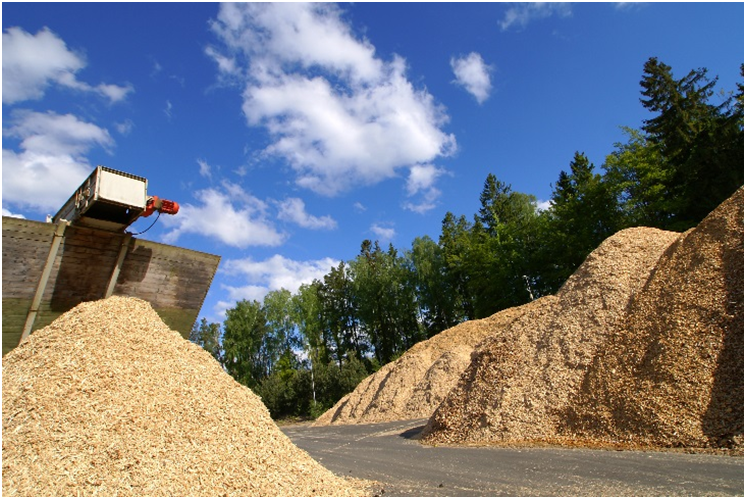 We are able to design effective traps for removing these and other pollutants to meet or exceed removal efficiencies required by you – with performance guarantee.